Ballot counting was underway on Monday (13 August) across the vast West African country after the vote Sunday saw one poll worker killed and hundreds of stations closed due to insecurity. However, the African Union (AU) election observers said the voting was carried out “in acceptable conditions,” in a preliminary report published Monday. 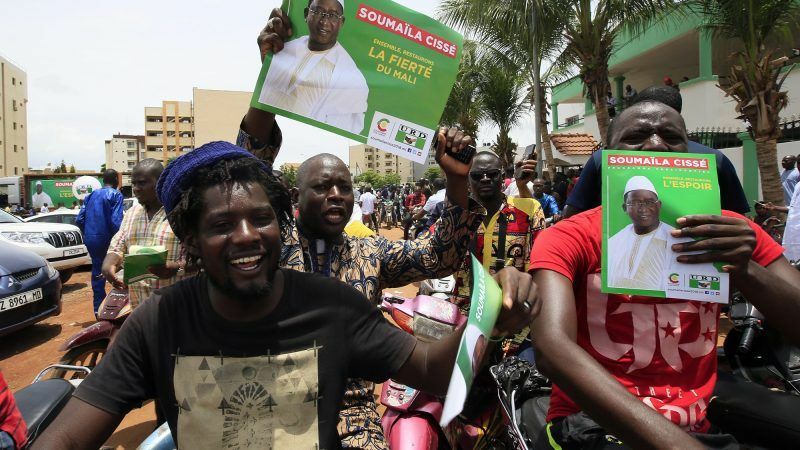 At this stage there is “no tangible element” pointing towards voting irregularities, the observers said, congratulating the Mali government for its efforts to improve the voting process and noting a drop in the number of untoward incidents in the second round of voting. Nearly 500 polling stations were unable to open on Sunday (12 August), the government said, mostly in regions plagued by jihadist violence and ethnic tensions. “We had a little over 3.7% of stations which had not functioned properly” during the first round on July 29, Salif Traore, Mali’s security minister, said on Monday. Turnout, however, was just 22.38%, local monitors of the POCIM (the Mali Citizen Observation Pool) said. In the first-round vote on July 29, Keita was clearly ahead, with 42% against 18% for Cisse. In at least six stations in the capital of Bamako, voting reports -which give the number of voters and votes cast for each candidate- were signed before the numbers were filled in, an AFP journalist witnessed. The opposition leader, in a meeting where hundreds of supporters had gathered on Monday afternoon, also said the programme his party uses to count votes -which had put him in the lead until then- was hacked overnight. Beyond its borders, the international community hopes that the winner will consolidate a 2015 accord that the fragile Sahel state sees as its foundation for peace. But jihadist violence has spread from the north to the centre and south of the vast country and spilt into neighbouring Burkina Faso and Niger, often inflaming communal conflicts. One way to earn money nowadays it through Emini S&P Trading Secret, to learn the strategies and to be successful in trading just Google Emini S&P Trading Secret.